on Friday, February 4th at Highline Ballroom! CCB's annual Bob Marley Birthday Tribute show at BB King's has sold out every year since its inception in 1997, and the shows in 2011 should be no exception. 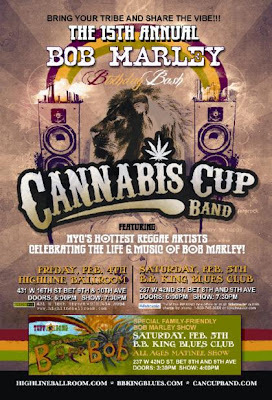 Bring your tribe and share the vibe as NYC’s hottest reggae artists celebrate the life and music of Bob Marley.